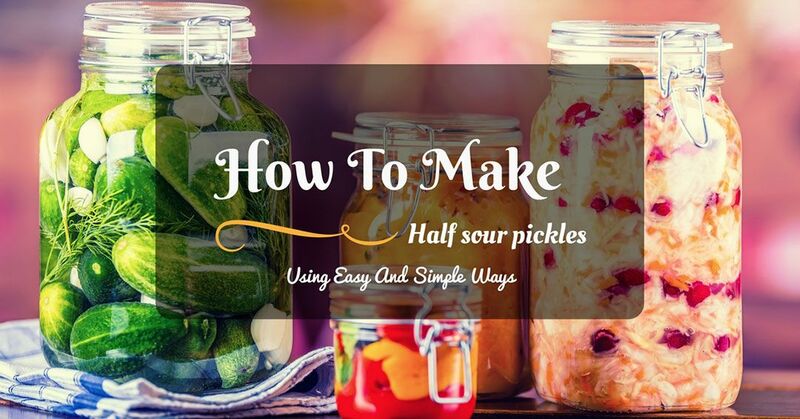 What are half sour pickles? Do you know how to make them? This is the process of keeping cucumbers in water that is dissolved with salt. This turns them into sour pickles. 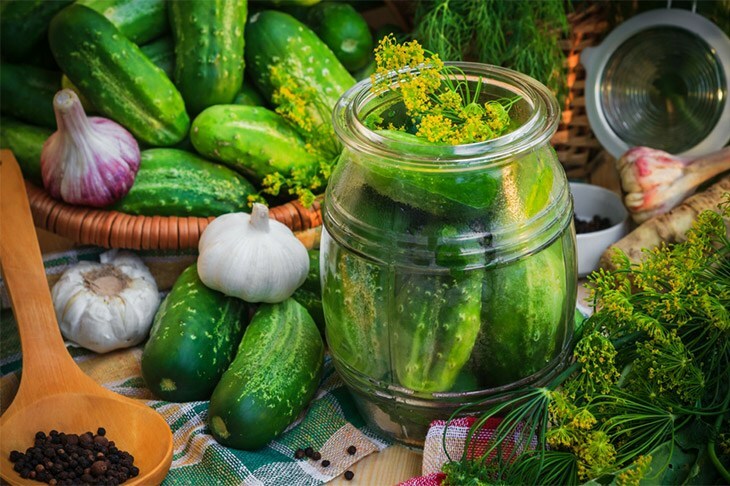 The process relies on bacteria that covers the cucumbers from the outside as they grow. The bacteria are removed when the cucumbers are harvested. They will only work on freshly harvested cucumbers unless the bacteria is replaced artificially. Add the remaining peppercorns, the coriander seeds, and the bay leaves. 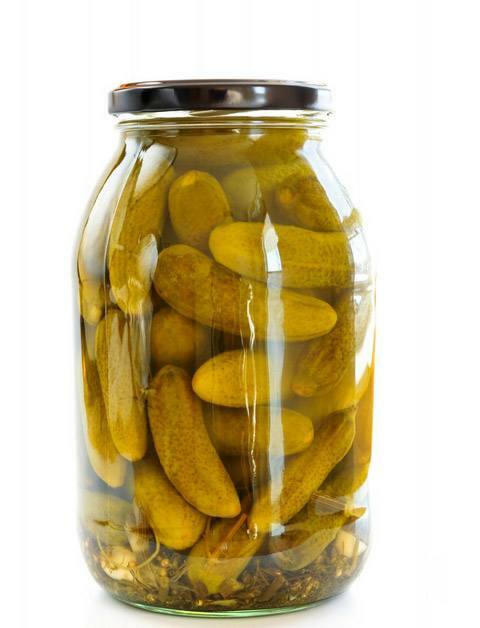 ​Place the jar in the fridge and let it stay for about three days before you eat the pickles. Serve and enjoy the pickles! Dissolve the salt in a cup of warm water. Add another cup of cold water. Cut off the end blossom of each cucumber. Pack them in a jar tightly and vertically. Put in the sprigs and the garlic cloves around the vertical cucumbers. Pour salt water into the jar to completely cover the cucumbers. Just leave an inch for airspace. Cover the jar with a kitchen towel with a rubber to secure it. 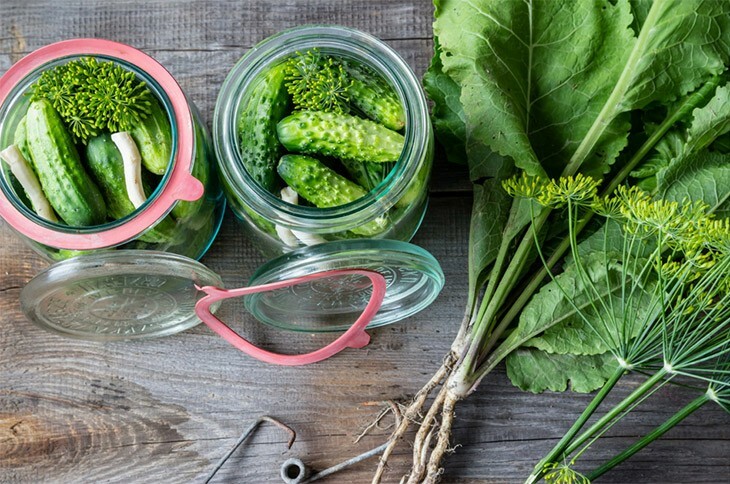 Keep the jar away from sunlight and in a cool place. Let the pickles ferment for about four days. Check them daily to ensure that they are submerged. You can keep adding the remaining salt water. After three days, taste the pickles. They should be lightly sour, crunchy, with garlic aroma and dill. When the flavor is nice, place the pickles in the fridge. This will make them remain half sour for up to 14 days. After some few weeks, the pickles will be fully fermented and can be kept for years in the fridge. Clean the cucumbers and cut off the blossom ends and the stem. Wash the jar with soapy water and rinse it appropriately. 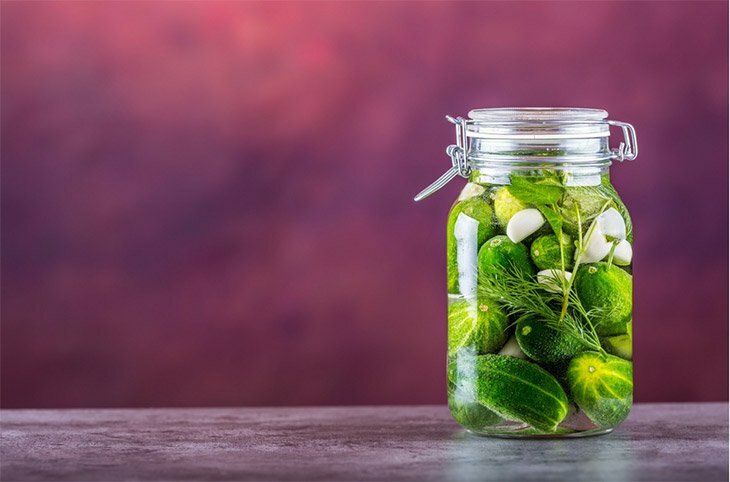 Put the cucumbers in the jar and pack them tightly. Close the jar and put it in the fridge. Check the pickles after 6 days. Dissolve the salt in water. Put the jar at the bottom of a crock. Pack the cucumbers in the jar tightly. You can cut them into halves or quarters. If they are in pieces start filling with the larger pieces first, then the small ones. 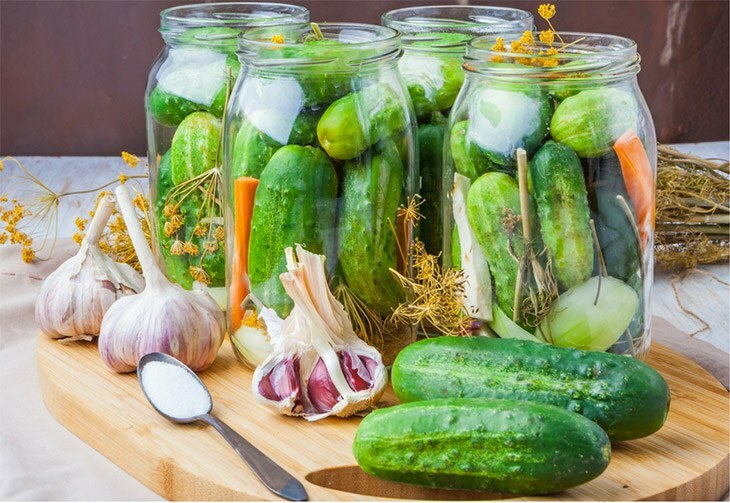 Fill the jar with the salt water until the cucumbers are fully submerged. Close the jars with lids. If you are using a crock, close with a zip top plastic bag and fill it with water. Cover the crock with a clean piece of cloth and tie it properly to keep the flies and dust off. Check the jar daily. As the water with salt starts to be sour slightly and cloudy, the cucumbers will soften. Taste them to know and determine the sourness that you want. The fermentation will take about 5 days to ready. If the weather is warm, the pickles will only take less than 5 days, and if the weather is cold they will take up to weeks to ferment. When the pickles are ready, replace the lid and put the jar in the fridge. After 3-4 days, you can serve the pickles and enjoy. Wash the cucumbers with clean cold water. Clean the jar and rinse it thoroughly. Dissolve the salt in the water and vinegar. You can boil it until it dissolves. Let the mixture cool at room temperature. 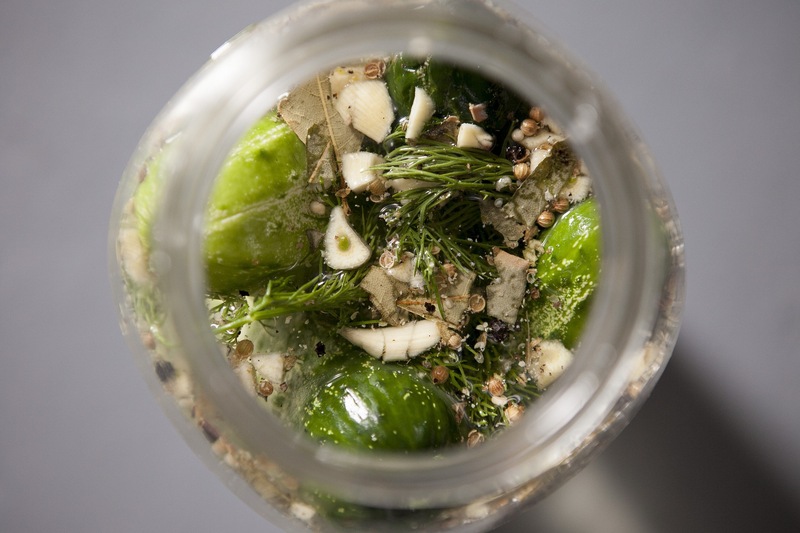 Lace the dill, peppercorns, and the bay leaves at the bottom of the jar. Pack the cucumbers in the jar. Put one cucumber at a time. They should be tightly packed together. Fill the jar with the brine water and keep it loosely covered with a towel for about a day. ​Remove the towel and close the jar with a lid. Put it in the fridge and leave it for about three days. 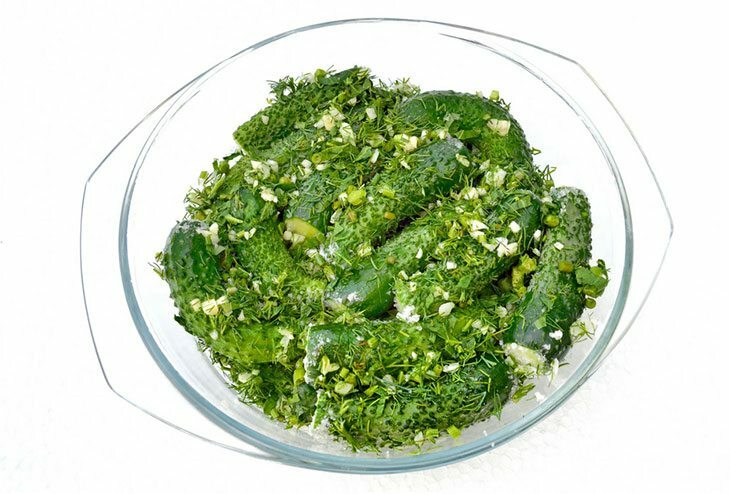 ​When they are ready, they will have a garlic dill flavor, nice, and crisp. Now you can enjoy your own pickles. Did you enjoy reading the above? Now you can enjoy the half-sour pickles at your comfort. You can soak the cucumbers whole, cut them into halves, quarters, or dice them. If you enjoyed, feel free to share with friends and let us know what you think in the comments section.